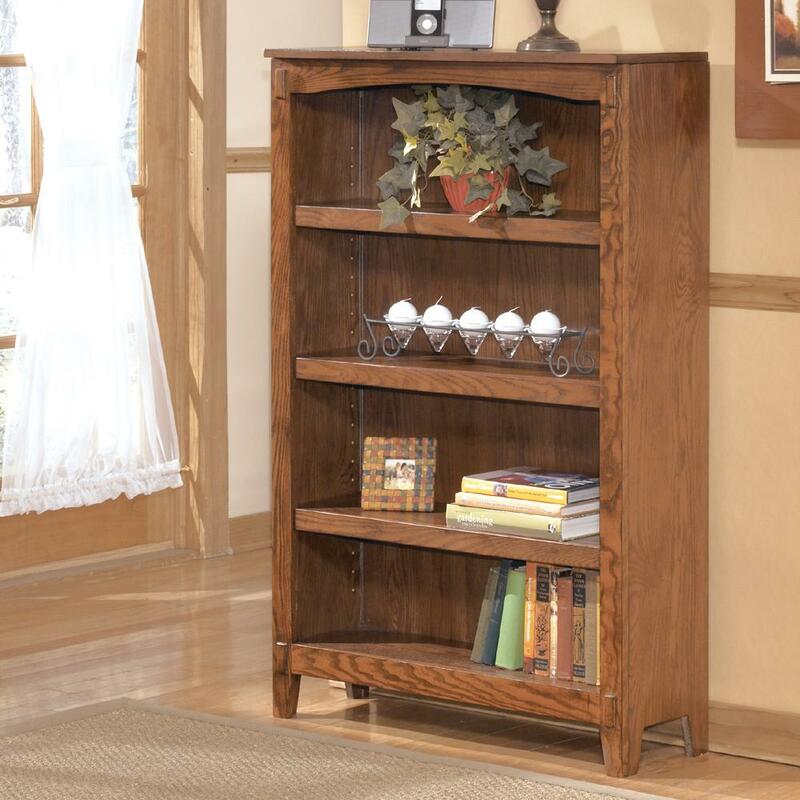 Enjoy storage for books and decorative accents in your home office, living room, bedroom, or elsewhere with this Medium Bookcase. The three adjustable shelves allow you to accommodate larger books or collectibles. The slight arch at the top of the bookcase and tapered feet in a rustic oak finish complete the look of this bookcase. The Cross Island Medium Bookcase by Ashley Furniture at Furniture Fair - North Carolina in the Jacksonville, Greenville, Goldsboro, New Bern, Rocky Mount, Wilmington NC area. Product availability may vary. Contact us for the most current availability on this product. Construction: Case Oak veneers and hardwood solids provide sturdy case construction. The Cross Island collection is a great option if you are looking for Mission furniture in the Jacksonville, Greenville, Goldsboro, New Bern, Rocky Mount, Wilmington NC area. 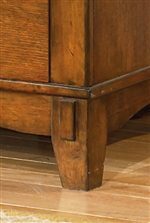 Browse other items in the Cross Island collection from Furniture Fair - North Carolina in the Jacksonville, Greenville, Goldsboro, New Bern, Rocky Mount, Wilmington NC area.